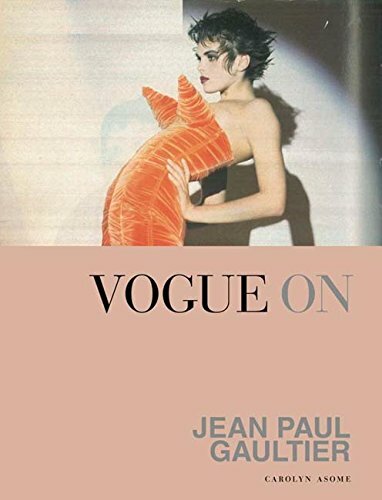 This book tracks the stellar career of maverick designer Jean Paul Gaultier from his first show in Paris in 1976, when he challenged the current ideals of beauty and promoted a style of fashion which embraced ethnic diversity and models of all shapes and sizes. "I like looking at things from a different angle and questioning what is expected. "- Jean Paul GaultierThis book tracks the stellar career of maverick designer Jean Paul Gaultier from his first show in Paris in 1976, when he challenged the current ideals of beauty and promoted a style of fashion which embraced ethnic diversity and models of all shapes and sizes. Seen as an enfant terrible when he first burst on to the fashion scene, his titillating, provocative designs embrace corset dresses, conical bustiers, biker jackets paired with ballet tutus and skirts for men, along with classic fashion staples such as beautifully cut smoking jackets and trench coats. By the turn of this century he had put Madonna in corsets for her Blonde Ambition tour, dressed celebrities for the red carpet and moved seamlessly between mainstream popular culture (co-hosting the outre British TV show Eurotrash and designing award-winning film costumes for Luc Besson and Pedro Almodovar) while also launching his own seriously successful haute couture label - an addition to a burgeoning empire of ready-to-wear, perfume and kidswear.With stunning images captured in the pages of Vogue by photographers like Mario Testino and Lord Snowdon, Vogue on Jean Paul Gaultier shows how his avant-garde fashion creations and cutting-edge designs revealed Gaultier's unerring instinct for how women want to dress.